These are really easy to make, delicious, sunshiny ice lollies. We make them regularly as they’re so simple, and we eat them as fast as we make them (almost!) 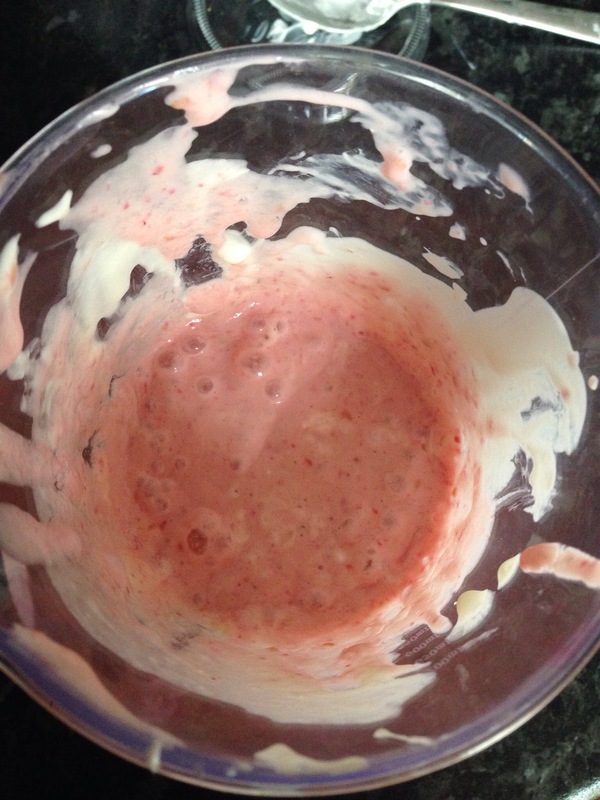 You can make lots of different flavours, using whichever fruit you like to eat. We used strawberries in these lollies since that’s what we had to hand. lolly moulds. 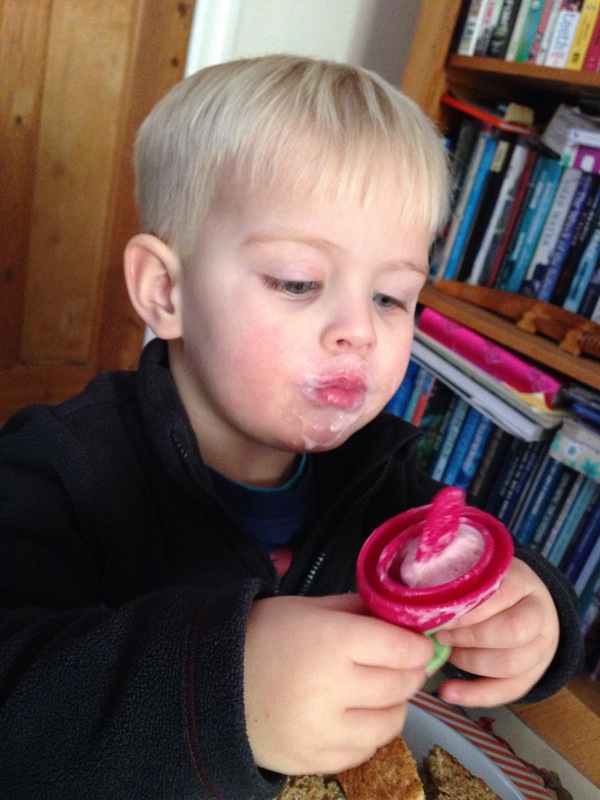 We use these by Annabel Karmel. 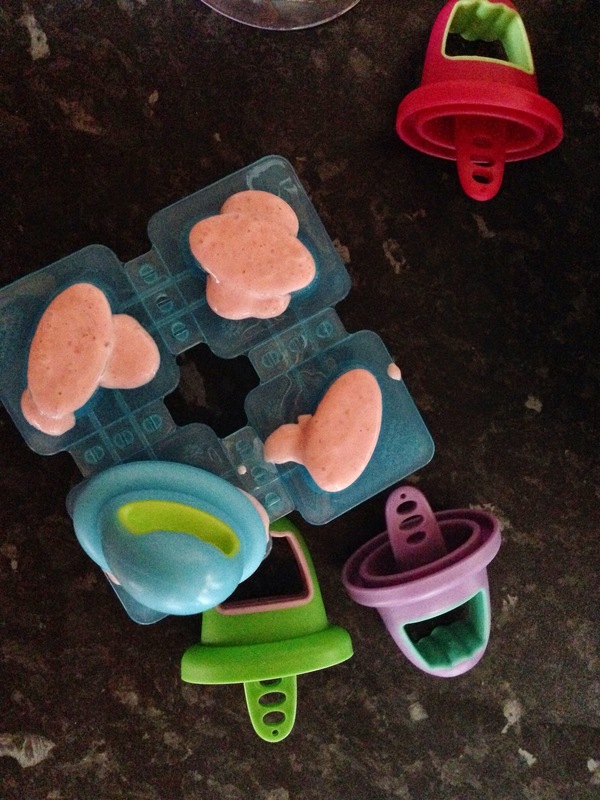 We blended up some yoghurt with some juicy strawberries and poured the mixture into the Annabel Karmel ice lolly moulds. You can see James absolutely loves them, and I have to say they taste so fresh and the strawberries make it really summery.